Miyuki becomes a model, but will everything be alright after she starts attacking Kindaichi? 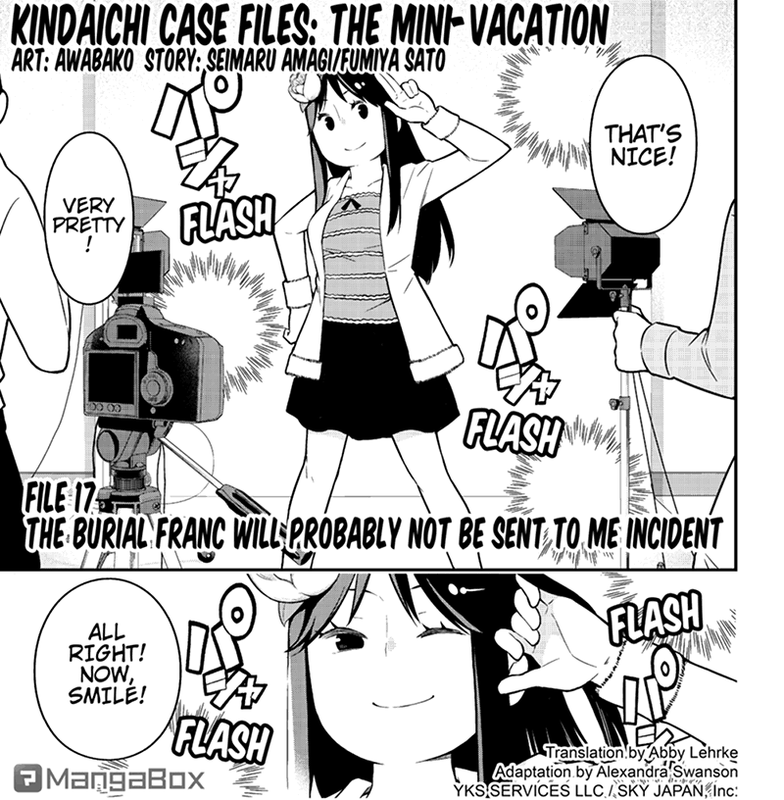 Will the Burial Franc be sent to Miyuki? Can she escape from this awkward situation?